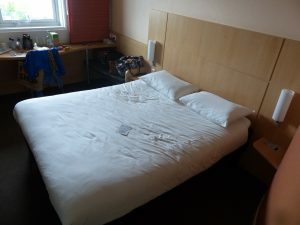 Ibis London Elstree Borehamwood – London hotel but without the large price tag! My children love and breath Harry Potter, so as a treat we took them to the Warner Brother Studios to do the Harry Potter Tour. 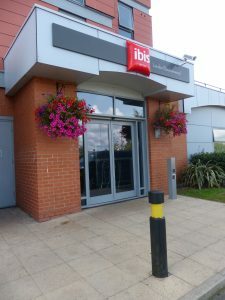 We wanted to avoid the hustle and bustle of the city, so stayed just on the outskirts at the Ibis Hotel London Elstree Borehamwood. It was so easy to get to from Cardiff and we could park right outside. The hotel is opposite the Big Brother House, so if you are a big fan, this literally is a stone throw away. We were given a warm welcome by the General Manager, Rodrigo, who checked us in on a mobile phone. There was no hanging around, the service was really prompt and professional. 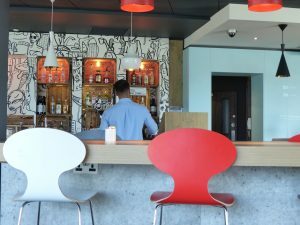 The lobby area is open-plan and consists of a breakfast bar, dining area, bar and computers for leisure use. It had a modern feel about it, with lots of windows surrounding the area, letting in plenty of light. The rooms were light and airy. 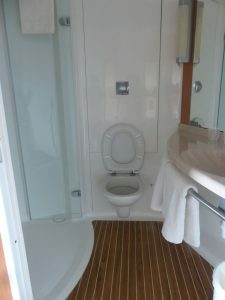 They also had free WiFi, hairdryers, shower gel, soap, TV, telephone etc, so you really can travel light. The only snag is that if you’re a large family, you’ll need more than 1 room, because all the rooms will only fit one double bed and one single bed. There were 2 adults and 2 children on our trip, so my husband stayed with one of the children and I stayed in the room next door with our other child. My husband was pretty chuffed about this, because he had full use of the remote control in the room next door! We were pretty tired after our journey and as we didn’t know the area, we ate at the hotel. The staff took our order and checked on us from time to time to ensure we were happy. There was plenty of choice on the menu for adults and children, so we were all happy before retiring to our rooms. The bed was so comfortable, I actually had one of the best night’s sleep in a long time. The following morning we woke early for breakfast. 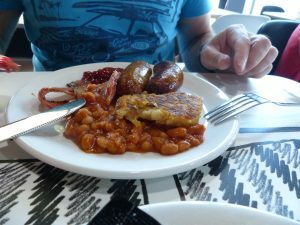 All the staff were really friendly and, again, logged us in for breakfast by mobile. There was plenty of cereal choices, fresh fruit, bread, croissants, cooked breakfast, meat, cake etc… The selection really was a delight and, remember, you’re not paying the prices of staying in an expensive London hotel. It made me realise that when you travel, the extra luxuries really do not matter, because you’re not enjoying them long enough when you’re there to go sightseeing. Everything from the comfort of the bed to the food we ate was all we really needed and we had no stress travelling there, either. The Warner Brother Studio was only 8 miles away, so we drove and literally passed dozens of restaurants and shops on our way. Again, we had another stress-free journey without being stuck in jams and paying toll fees. We really had the best day ever and the journey back to the hotel was pleasant, too. 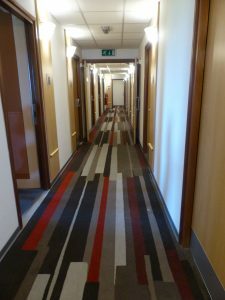 We had another night’s stay but ate out at Nando’s, which was a 5-minute walk from the hotel. We then piled into one room to watch one of Usain Bolt’s last races before retiring. The Husband slipped into the room next door with one of the children and we all had yet another good night’s sleep.